Leading the Witness: Asking a question which puts words in the mouth of the witness or suggests the answer. So I was thinking this morning about the possibility of discussing my disaffection with the Church of Jesus Christ of Latter-Day Saints and realized that I wouldn't want to use "brainwashing" when discussing so-called "spiritual" experiences that I had while a believing member of the church. What it comes down to is this... I don't want to tell my mother and father that I think that they brainwashed me into having experiences and believing certain things from a religious perspective. I just started watching the New Amsterdam TV show which airs on Fox. I watched episode number 3, "Soldier's Heart", last night and it got me thinking about the subtle use of brainwashing that is employed by religions. Although brainwashing is accurate, I think "leading the witness" is just as accurate and has a less negative connotation. 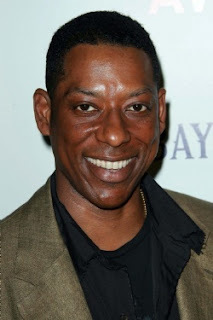 In episode 3 of New Amsterdam, the main character (Amsterdam) gets a mentally unstable retired veteran, played by Orlando Jones (great actor btw, played the part very, very well), to confess to a murder. The confession doesn't sit well with Amsterdam and after reviewing the tapes of the confession, Amsterdam realizes that he lead the witness to confess by telling the veteran certain things that he thought happened and by asking certain questions. The veteran couldn't remember what had happened due to his mental state and based on the information presented, relented to the idea that he must have committed the murder. When members bear their testimonies and experiences with others and then expect children or non-members to have their own experiences. In the LDS church, there is an expectation that if you ask someone to read the Book or Mormon and pray about it, they will have a certain experience. That experience is designed to convince them that the Book of Mormon is true and therefor the church is true and therefor they should join the church or continue in the church. I won't go so far as saying that this type of tactic is wrong. However, I do think that its manipulating and can have adverse effects later on. I wouldn't want to tell my parents that I think they brainwashed me and the church brainwashed me, but its very clear to me that I was lead to have certain experiences and expect certain things to happen based on the experiences of others. This plays on ones inclination to want to belong and be like others that they respect and/or love. Do I discount the experiences that I had while a member of the church? Yes. I look back on them now and I understand how I was manipulated into having experiences that were then hammered into my conscience and sub-conscience that the meaning of the experiences is that I must pray, pay and obey. And now that I have questions, I'm expected to throw the questions and/or problems I have with the church out the window and put my focus into obeying all of the church's sudo-commandments. As a follow-up to the New Amsterdam episode... Orlando Jones has a line when he is telling a doctor who he is and he says that he's a "retired veteran, emphasis on 'tired'". Not important to the post, but I thought it was a telling line. I try to avoid that word as well since it tends to be more negative and I don't think my family and teachers had any ill will toward me. I prefer to use the word indoctrinated because to me it reflects the constant, subtle programing of certain teachings over a long period of time. I also agree that they didn't have any ill will toward me. Indoctrination also fits the bill, and is probably more accurate, but it also has a negative connotation. I guess any word you come up with that explains it properly will have a negative connotation. Maybe there is no way around offending religious people when you explain that you think they brainwashed/indoctrinated/lead you into thinking/doing things.